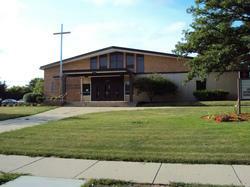 Corpus Christi, Mary Queen of Martyrs (a merged parish of Mother of Perpetual Help and St. Stephen Martyr), Our Lady of Sorrows, and St. Phillip Neri joined together to create Blessed Savior Parish on July 1, 2007. As a union of four Northwest Milwaukee parishes, each with a rich cultural history and a true presence in their respective neighborhoods, Blessed Savior continues to build on a solid foundation of community service and neighborhood presence. Renovating the site of the former Corpus Christi, Blessed Savior has combined familiar surroundings from each of the four founding parishes and their five worship sites to create a comfortable, welcoming, worship environment. Blessed Savior has maintained and expanded the community roots started by the original parishes by our involvement in St. VIncent De Paul's meal programs, St. Vincent DePaul activities, and the continued support of neighborhood watch groups. We continue to operate the schools that began at each parish. As a multi-campus school we celebrate the unique talents our school children possess and build our school community by coming together at regularly scheduled all school prayer services. Video run time approximately 28 minutes.